Criminalize photographing and documenting the Israeli army and prohibit the dissemination of footage of the army on social and mainstream media. Grant Israeli administrative courts the power to block internet content from social media corporations, search engines and associated companies that amounts to online “incitement” as broadly defined by Israel at the request of the government. Establish the Israeli National Cybersecurity Directorate, a hub which will collect private data about citizens and Palestinians from several public and private sector institutions, expanding Israel’s ability to identify ‘security indicators’ and enabling the state to circumvent many legal proceedings under the pretext of fighting cybercrimes. 7amleh encourages local and international civil society actors to carefully monitor and document cases regarding internet governance and incorporate education and mitigation of these and other policies that are discriminatory and infringing on people’s digital rights into their work. 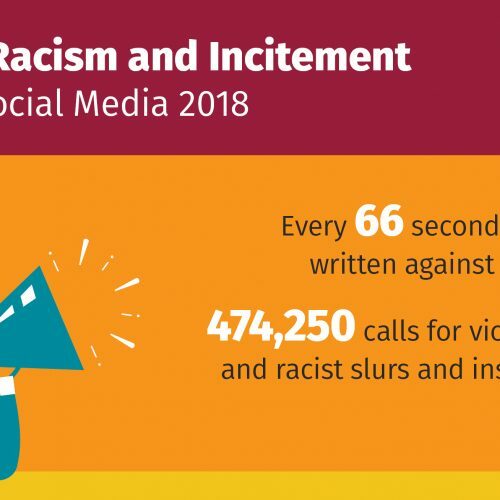 Recent years have witnessed a dramatic upsurge in the number of laws and legislations being put forward by Israeli legislators in the Knesset that violate the right to privacy, freedom of expression and often exhibit racist and discriminatory features. Several of these laws pertain to internet rights, a sphere in which the Israeli government is increasingly carrying out monitoring and surveillance, and are drafted in such a way that would pave the way for further restrictions on speech critical of Israeli policies and practices. Whilst supporters of the laws insist that they are necessary for the security of the State of Israel, they often contain clauses that indicate Israel’s desire to limit free speech, Palestinian solidarity and other activity that is unfavourable to the government’s political, economic and military agenda. 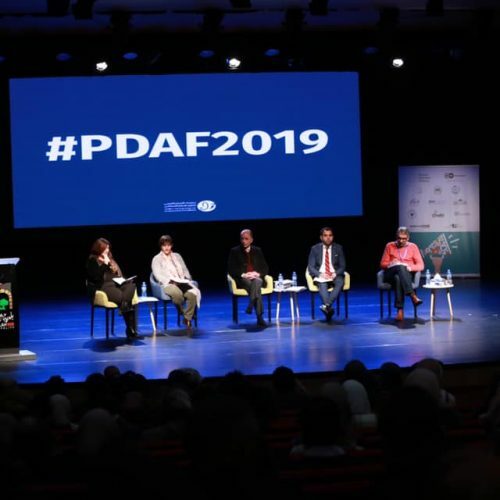 In the past few years, tens of discriminatory laws have been proposed by members of the Israeli parliament, which are symptomatic of the current political climate and attitude of not only the Israeli government, but of mainstream Israeli society. Three of the most alarming internet laws will be discussed below. Soldiers have often become subject to investigation of conduct due to video footage and photographs that document the Israeli army’s excessive use of force, lethal actions and human rights violations. One of the most distinguished cases is the conviction of the Israeli army’s soldier, Elor Azaria, to a year and a half in prison after documentation of him fatally shooting a Palestinian in the head surfaced in 2016. In May 2018, the Israeli Ministerial Committee for Legislation put forward “The Prohibition Against Photographing and Documenting IDF Soldiers” bill that would criminalize the filming and photographing of the Israeli Army in the course of their duties and prohibit the dissemination of the photos or video content that is critical of the Israeli army on social media networks and mainstream media. The bill stipulates that a five-year prison-term would be enforced against those convicted of “filming, photographing, and/or recording soldiers in the course of their duties, with the intention of undermining the spirit of IDF soldiers and residents of Israel”. The Israeli defense minister, Avigdor Liberman, in upholding the bill, stated that “for many years now, the State of Israel has witnessed a worrying phenomenon of documentation of IDF soldiers” and further declared that organizations and the media often use footage of soldiers’ committing crimes against Palestinians to “harm the State of Israel and its security”. By limiting the forms of accountability, the government is paving the way for the illegal military practices to be protected. This is in violation of freedom of expression under Israeli law as well as under international human rights law (Article 19 of the ICCPR). In addition to limiting the forms of documentation and accountability, Israel has developed several strategies to pressure social media corporations to comply with its own definitions of “incitement”, which is broad reaching, inconsistent with international human rights laws (principles of necessity, proportionality and legitimacy) and has a discriminatory focus on human rights activism concerning Palestinian. In order to legislate Israel’s strategy to censor the content in social media, on January 3rd of 2017, the Israeli Knesset approved the first reading of the so-called “Facebook Bill”, which would grant Israeli administrative courts the power to block internet content that amounts to online “incitement” at the request of the government. The bill will authorize issuing orders to delete content “if it harmed the human safety, public, economic, state or vital infrastructure safety” as well as pave the wave for legal actions and hefty fines against social media companies who disseminate content such as Facebook, Twitter, YouTube and search engines such as Google. The bill advanced to its final reading on Monday 23rd of July 2018 in the Knesset before Netanyahu requested that the law be removed for evaluation out of concern that freedom of expression could be harmed. Critics have claimed that the bill would have far ranging implications for the free speech of citizens, primarily Palestinians in the West Bank, Gaza and Israel as the main targets, but also other Israeli citizens, due to the broad and vague definitions of “incitement” and “national security”. The Israeli government’s strategy to force social media corporations to comply with its discriminatory policies would include fining Facebook or even blocking the social media giant from operating in the country. This bill exemplifies the influence that powerful governments such as Israel can exert on private corporations to uphold and drive their political agenda which is inconsistent with and violate international human rights law. The bill provides the legal basis for the establishment of the Israeli National Cyber Directorate (INCD), which will have increased authority to issue national guidance on cybersecurity matters, and cooperate with other regulators in areas such as finance, health, transport, energy and communications. This hub will be responsible for sharing information amongst government and private sector entities and maintaining a national database of threat indicators, which has already been the subject of much public controversy due to the broader issue of user privacy. Laws that provide for court-ordered decryption or hacking should require the authorization, on a case-by-case basis, of an independent and impartial judicial body of the proposed decryption or hacking order. The judicial body should review the order to ensure that it meets the requirements of legality, necessity, proportionality and legitimacy of objective. This represents a crucial turning point in how Israel is dealing with national cybersecurity issues. The INCD will be the national cybersecurity regulator, a task that is usually designated to military or security bodies and whose power would otherwise be constrained by legal obligations. Whilst utilizing practices that violate user privacy and data, such as hacking, has been commonplace when it comes to policing Palestinians, this bill further expands, legitimizes and regulates such practices and enables the government to circumvent legal proceedings under the pretext of fighting cybercrime, setting dangerous precedent for local populations and global standards. Given Israel’s position as a global leader in technology, cybersecurity and surveillance, the digital sphere has come to represent another arena in which Israel can expand its political agenda and limit dissent. As these three bills exemplify, the Israeli government is creating a context in which speech is increasingly monitored and controlled by invoking vague terms such as “cyber security” and “cyber threat”. This comes at a time when the Israeli government is increasingly concerned with the growing global sympathy for Palestinian human rights and the popularity of the non-violent Boycott Divestment and Sanctions movement, as well as its expanding preoccupation with ‘national security’. 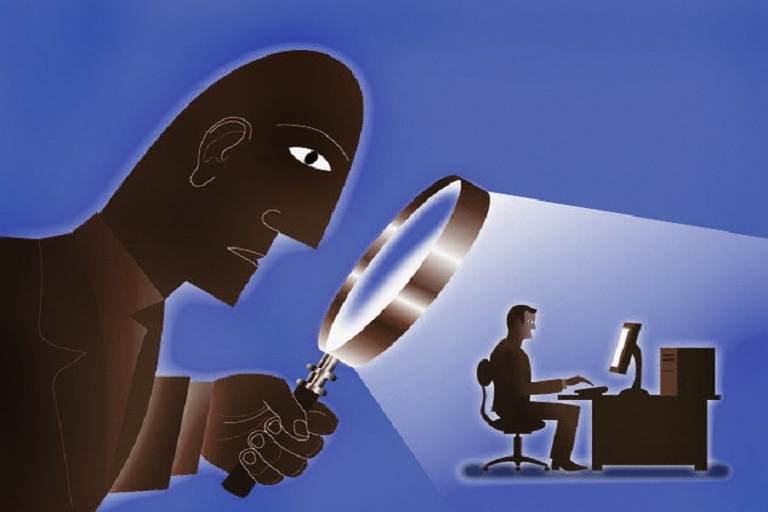 Legislations such as the above not only grant the government legal jurisdiction to violate user privacy and block and suppress content that is critical of the government, but makes such practices and policies constitutionally mandated. The Israeli government to reform bills to ensure that all legislation is consistent with international human rights (necessity, proportionality, legitimacy, non-discrimination etc. ), the International Covenant on Civil and Political Rights (ICCPR) and other international norms regarding freedom of expression and privacy. The Israeli government should consult all relevant stakeholders in the development of internet related legislation including civil society and human rights organizations, the technology community and the private sector in order to develop legislation that will protect freedom of speech and privacy. Social media companies, search engines and tech companies should formalize their commitment to the UN Guiding Principles on Business and Human Rights by conducting human rights impact assessments, developing mitigation techniques and action plans to remedy harm. 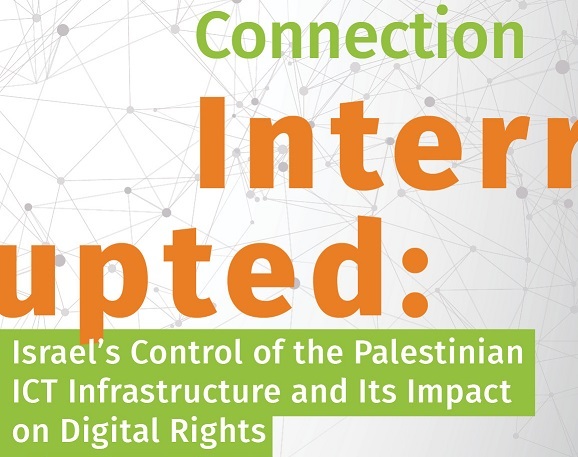 Israeli and Palestinian civil society should document violations of internet rights and incorporate internet and privacy rights issue into their advocacy work.